Cakes, Cuppies And Other Confections: The Easter Bunny was here! The month of April is lucky enough to have Easter weekend and I don’t know about all of you, but our Easter weekend is always full of family…and food. This year we stuffed ourselves with roast beef, turkey, ham and all of the fixings. We also had dessert. Homemade lemon meringue pie, ‘Stained glass’ cake, and it wouldn’t be an Easter without carrot cake. After all that is the Easter Bunny’s favourite kind of cake! 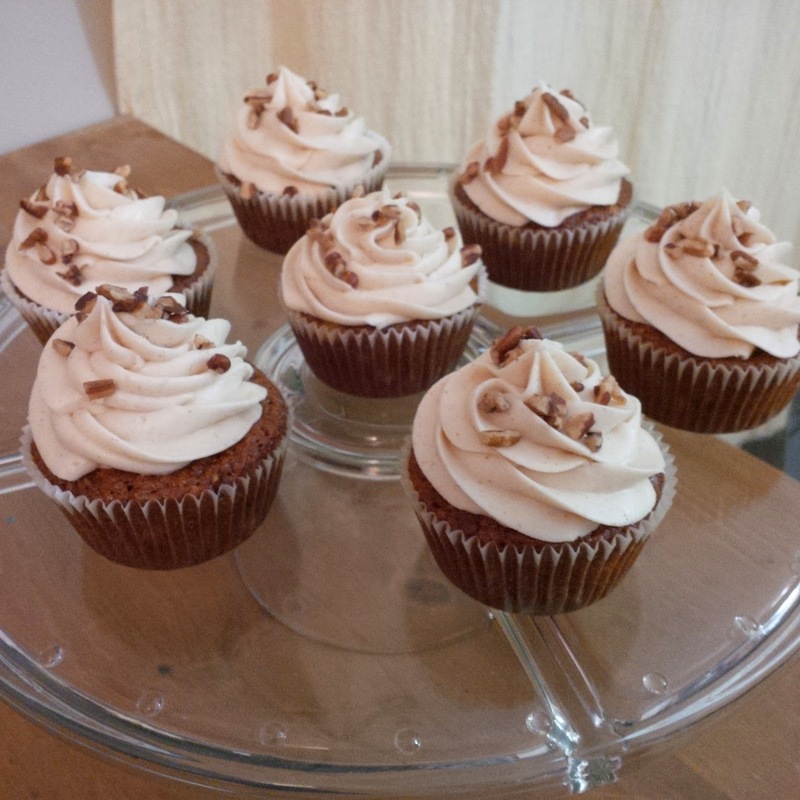 This year I decided to make the traditional carrot cake into cupcakes. I left out the raisins (several people in my life refuse to eat them…strange, I know.) and added in some toasted walnuts. I put in some crushed pineapple and found that it really kept the cake moist. 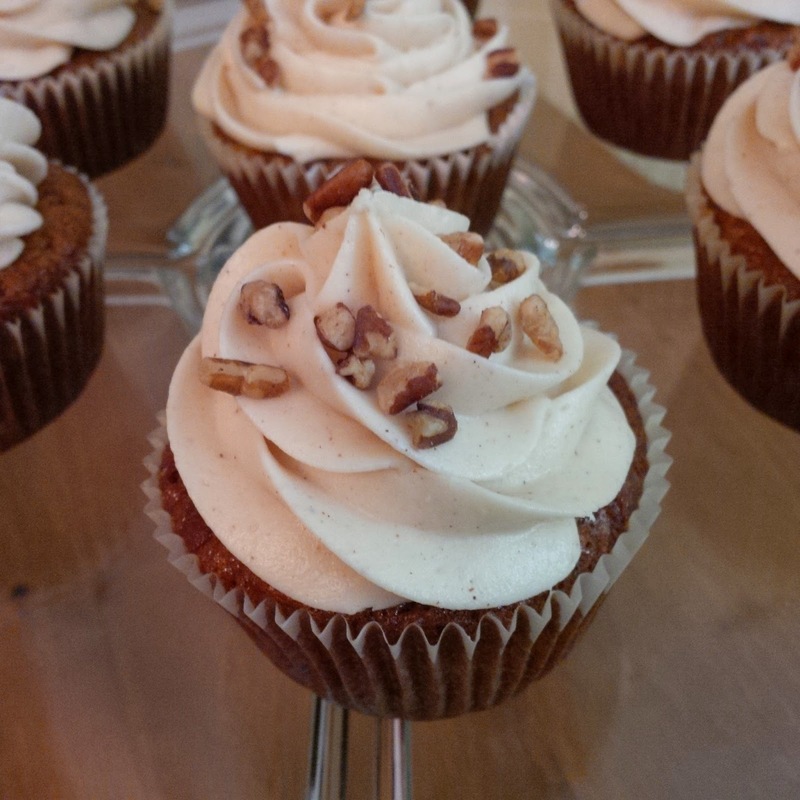 The cupcakes were topped off with a swirl of cinnamon cream cheese icing and a sprinkle of more toasted walnuts. 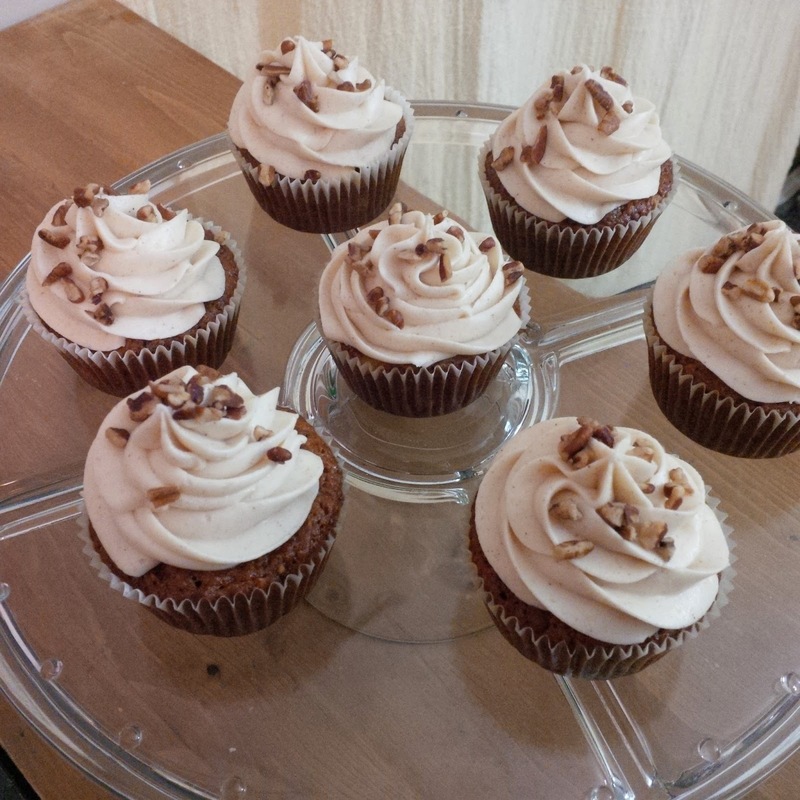 They were definitely a hit and would make a great treat any time of year!